Ocmulgee National Monument is located in Macon, Georgia and helps interpret the history of the area including an Earth Lodge. 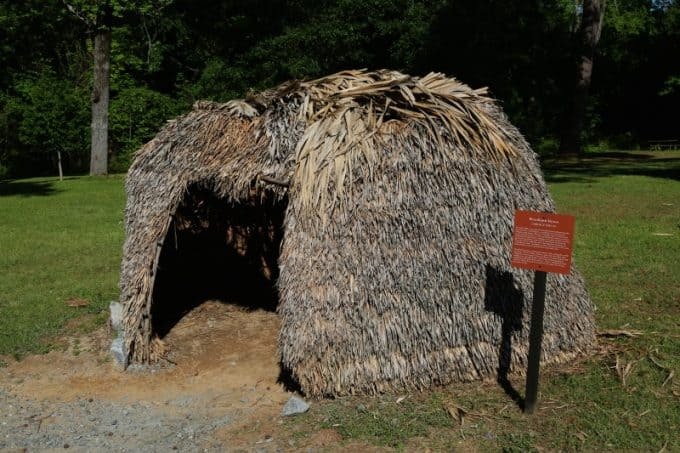 Ocmulgee National Monument has 17,000 years of human history. The Paleo-Indians first came to this part of Georgia during the Ice Age. 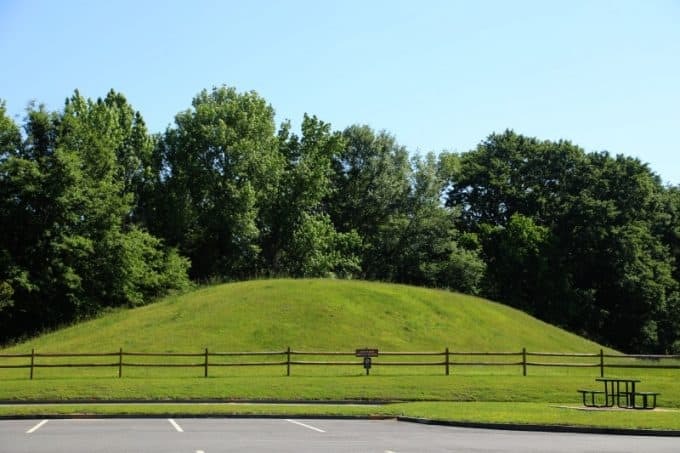 The mounds found in the park were constructed for elite members of society in 900 C.E. when the Mississippians arrived. The Mississippian culture thrived here until Europeans arrived around 1600. 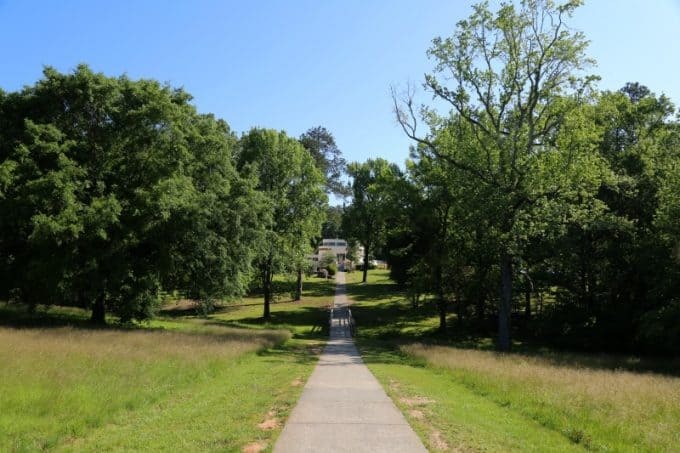 Ocmulgee National Monument is a great park that offers a ton of history and walking adventures. You can easily choose between indoor and outdoor activities and how much walking you want to do at this park. The visitor center is the perfect place to start your visit. 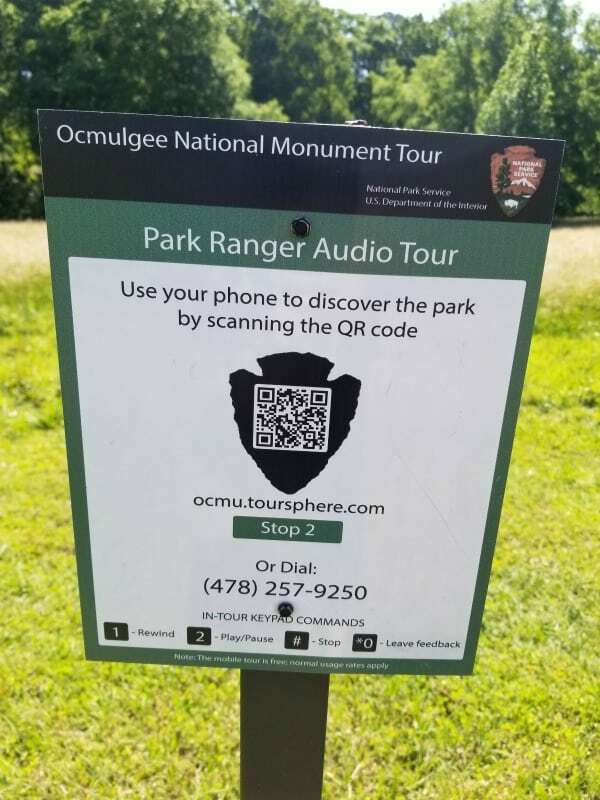 Learn about the 17,000 years of history of the park, pick up a Junior Ranger packet, and watch the park film to get started. 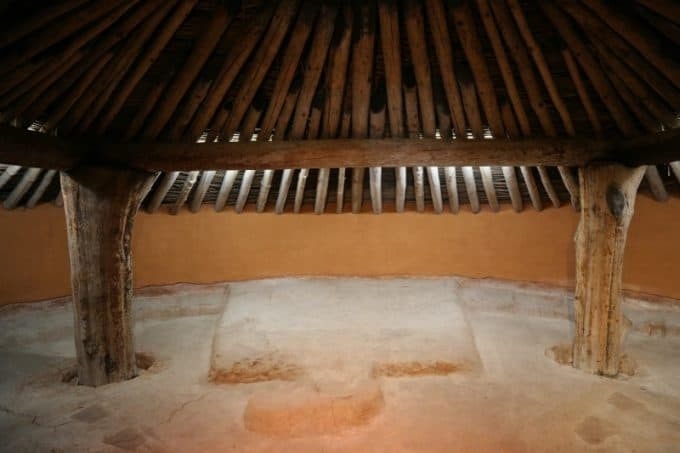 The Earth Lodge floor has been carbon dated to 1015. The earthlodge is a reconstruction of a ceremonial building that stood on the north side of the Mississippian village. 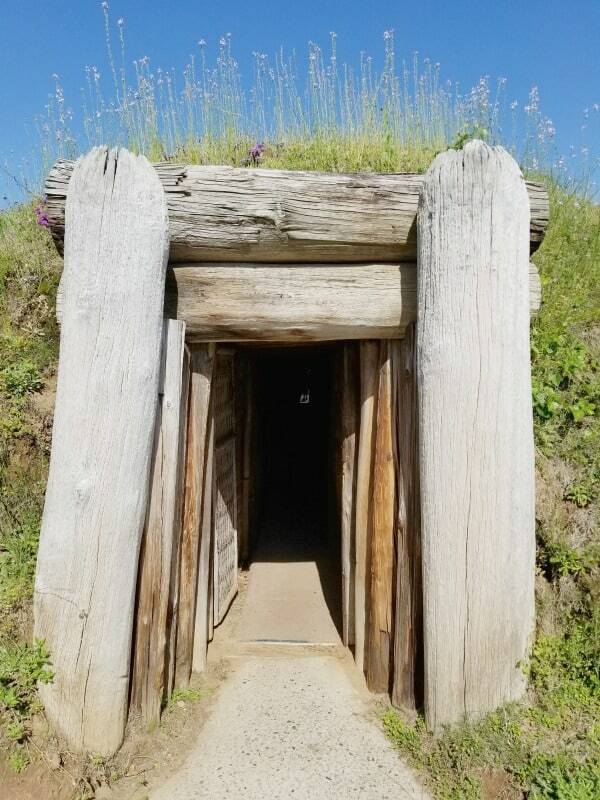 The entrance into the Earth Lodge is a bit tight so be prepared if you are not a fan of tight space. My wife gets claustrophobic and decided to not venture into the Earth Lodge. Once you are through the passageway you can look down on the ceremonial area of the Earth Lodge. Make sure and check out the eagle shape in the dirt/clay. Make sure and push the button inside the earth lodge to hear a verbal history of the lodge and what you can see from the observation landing. 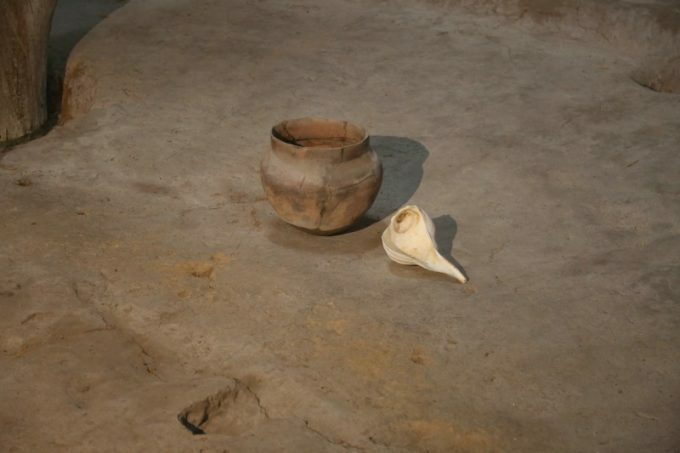 There are over 2,000 artifacts in the museum to explore. Make sure to check out the exhibit detailing what the Earth Lodge would have looked like in use. The visitor center is undergoing construction in 2018. The entrance to the visitor center has been moved but you can still access the entire visitor center. Don’t miss the ceremonial headdress that includes a copper covered puma jaw and sun disks. Most likely this headdress was worn by a Mississippian Chief. The park film is a great way to learn more about the history of the park. With over 17,000 years of history, the visitor center film helps break down the history and different cultures in an easy to understand manner. 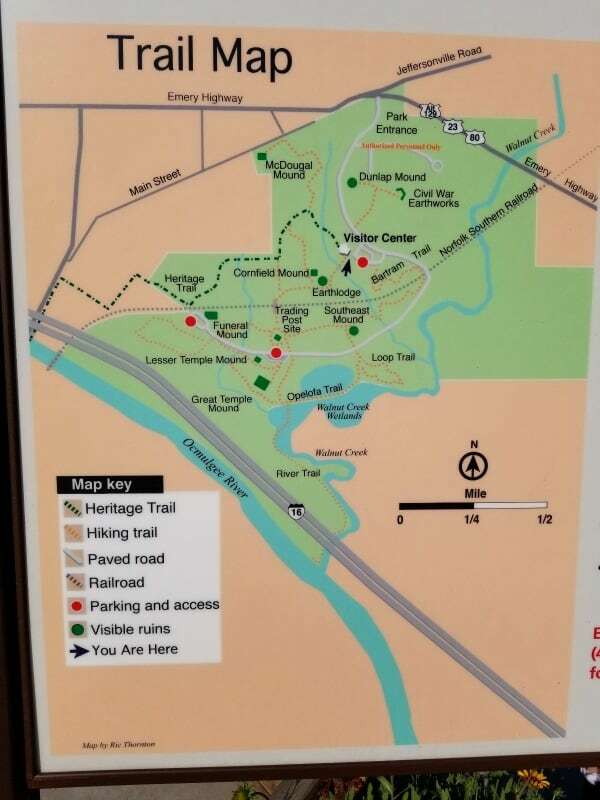 There are six miles of hiking trails around the park. 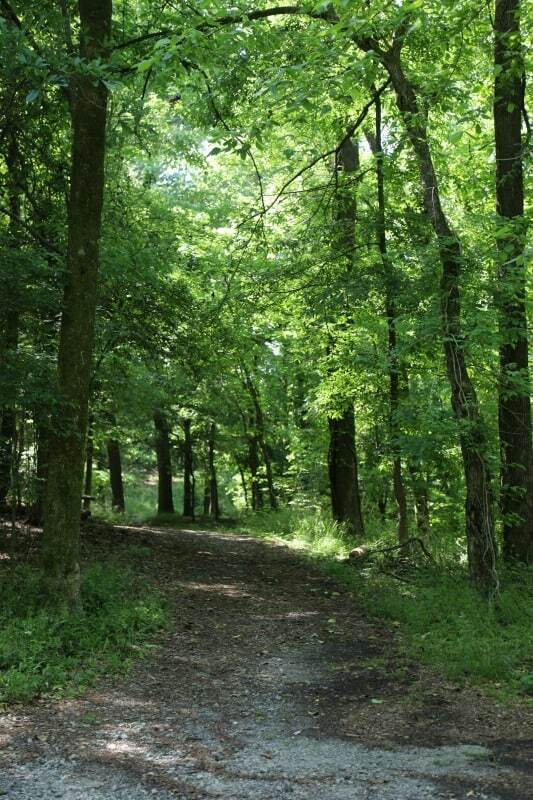 The trails include open areas and forested areas that are perfect for bird watching. Be prepared that the mounds are farther than they look when you see them from the visitor center. This park is great for walking your dog on a leash. 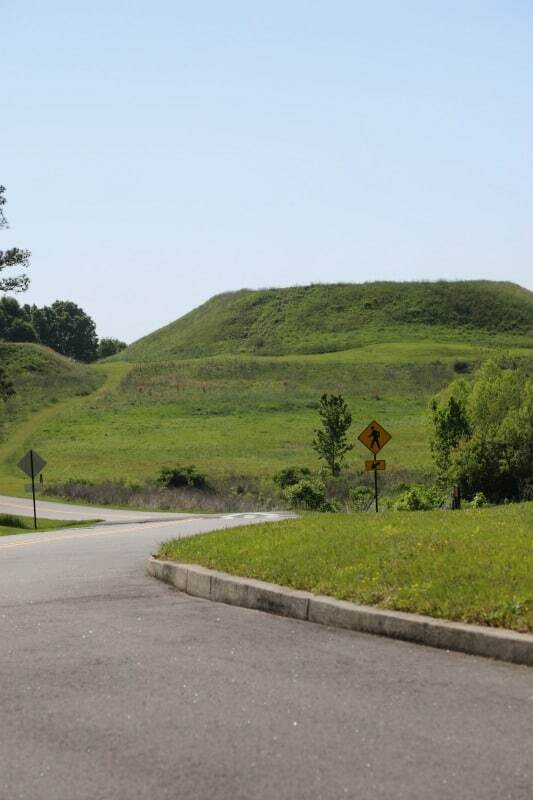 You can choose to take a walking trail to many of the mounds or drive your car to a parking lot near the mounds. Be prepared that the mounds are farther than they look from the visitor center! Be prepared for the heat and the hills! Funeral Mound – Village leaders would have been buried in this mound. To date, more than 100 burials have been uncovered in this mound. The mound would have been built over time. 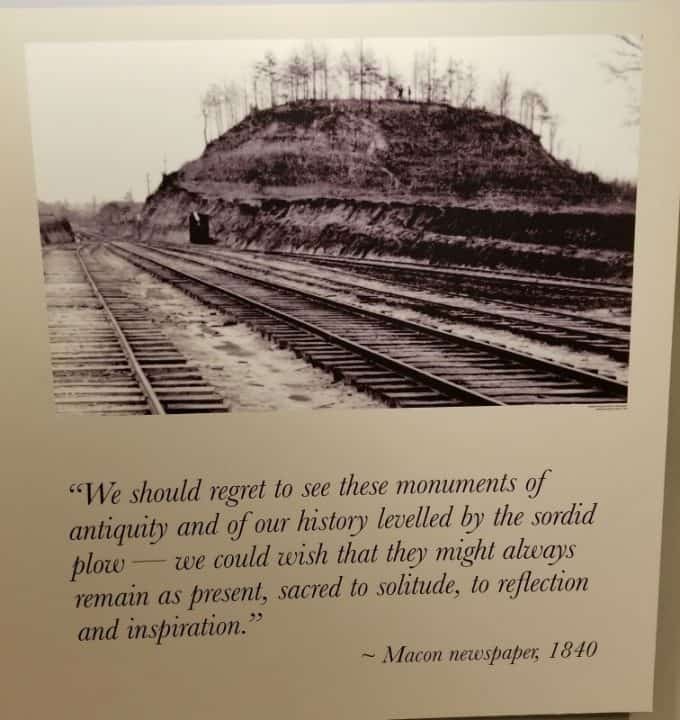 A large portion of the mound was destroyed when the railroad was built in the 1870’s. Cornfield Mound- It is believed that this mound was originally around eight feet high. They believe this mound was most likely used as a platform for a ceremonial building. Dial (478) 257-9250 at one of seven sites in the park. The majority of the Junior Ranger Program can be completed within the visitor center. 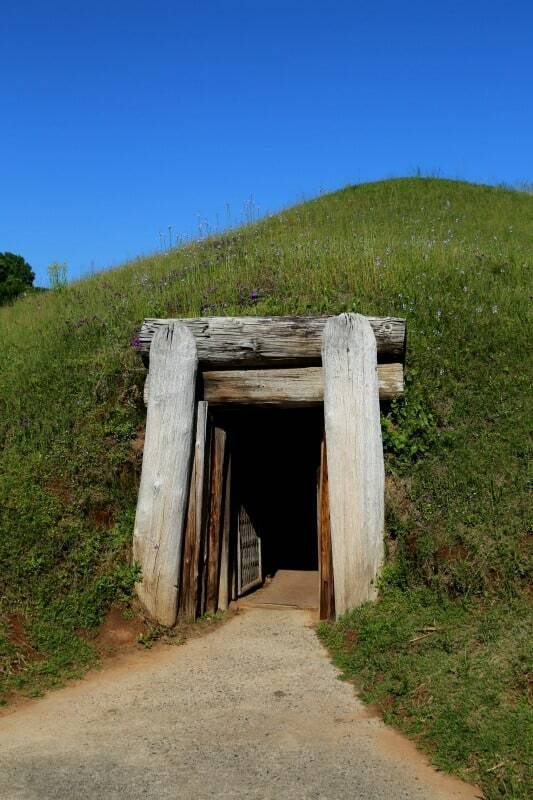 There are a couple of sections that include hiking among the mounds and learning about them. The park has plastic junior ranger shields when you complete the program. Sunscreen/ hat/sunglasses – Many sections of the park are in open fields with no shade. Be prepared for the Georgia heat!!! Directions from Atlanta- Drive south on I-75 to Macon. Exit I-75 onto I-16 east (exit on left). Get off I-16 at exit 2 (Coliseum Drive), take a left under the highway and proceed to where Coliseum Dr. ends at Emery Highway. Turn right on Emery Highway and proceed to the third light. Our entrance is on the right side of the road. Be careful with your GPS for directions. The national park website was a lifesaver when we tried to find the park. Our GPS took us in the totally wrong direction. Park Hours – The park and the Visitor Center have the same operating hours of 9:00 am-5:00 pm 7 days a week. All visitors must out of the park by 5:00 pm. There is an electric gate at the front entrance. 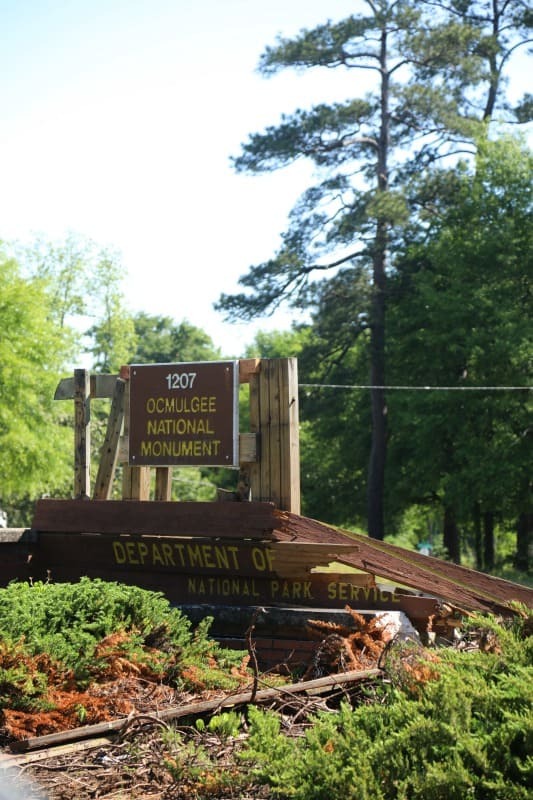 Park fees – There is no National Park fees collected to visit Ocmulgee National Monument. 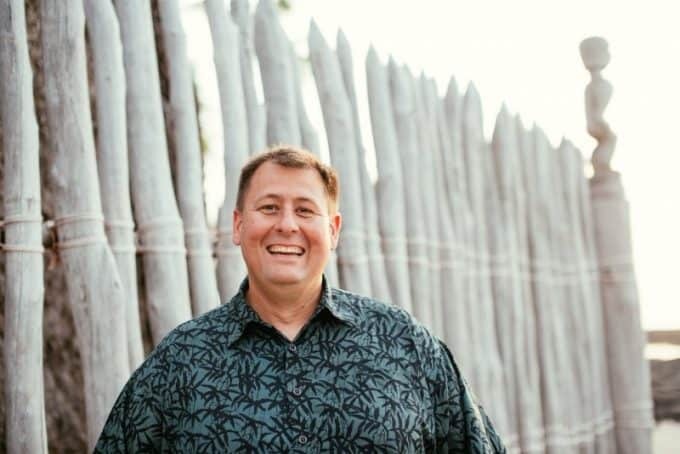 There is a fee collected during the Ocmulgee Indian Celebration.